when you arrive in Thailand, you might want to communicate with your hotel, call a Grab taxi or Über, or even connect to Facebook or Line. Considering the roaming fees, you’ll quickly end up using a prepaid sim card as they’re fairly easy ton find and use. There are 3 main providers in Thailand. Dtac is an operator linked with Telenor and third actor in terms of customers. They propose both prepaid and post paid services but if you’re a tourist, it doesn’t make sense to choose a post paid plan. The prepaid plans “happy tourist sim” begin at 49thb with minimal credit (15thb for calling and 1 day access to the social networks). On the other end, they also propose a 599thb plan for 15 days of unlimited internet and 100thb of call. Once you’re done with your initial plan, you can top up in your nearest Dtac shop (there are plenty, in almost every mall for example) but also in 7eleven nationwide. 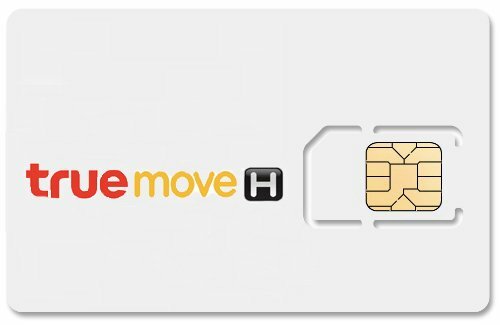 True (TrueMove) is probably the best option to me. They propose a 49thb sim with bonus of call and internet. You can easily top up at True shops or 7eleven with a good variety of offers. Note that you can also top up for a fixed amount of money and use this amount how you like it (call or data). Ais is the largest mobile provider in Thailand with nearly 40 millions customers. The prepaid options are quite similar to the competitors with offers from 49thb to 599thb deoending on how long you’re staying in Thailand. The main problem with Ais is that they stopped their deal with 7eleven and you’ll need to get to Ais stores (which are also less findable than the Dtac ones) to top up your credit. Before choosing your sim, check in details what you need and do not feel forced to take the “tourist” card. The regular one can also be interesting for a light use. You can either top up for an amount of money or for a package (ex : 1Go of data during 7 days). Where can I find the Sim card ? 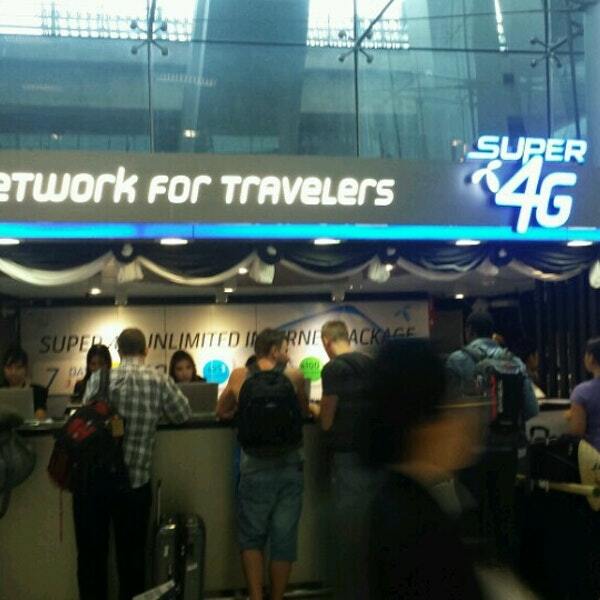 You can buy your sim card directly at the airport (Don Mueang or Suvarnabhumi). If you’re lucky, someone will handle you a free welcome sim that you’ll need to activate. Else, you can just walk to a booth and ask for the prepaid sim card you want. You can also buy one in any providers shop. You can check directly on the official websites to find your nearest one. My guess is that your nearest mall have them. Convenience stores such as 7eleven or Family Mart have the sim cards available and will help you (with a broken english most of the time) activate and top up. What do I need to get a sim card ? When you go to buy a prepaid sim card, you’ll need to get your passport. It’s now mandatory to get a phone number since the 31st july 2015. You can open your line at a local convenience store or at a dedicated shop such as DTAC or AIS. What to do in 1 day in Bangkok ?